Choosing the right plumbing service company for your home or office should never be done in haste and without careful consideration; but when your leaky pipes or faulty water heating system cannot wait, you only have one name to call in Margate: 4Star Plumbing Services. We are your go-to place for all things plumbing, piping, and water heating. Our technicians go around Margate, Cooper City, Oakland Park, Pembroke Park, Pembroke Pines, Hollywood, and all around Broward County. One-stop shop for all things plumbing! 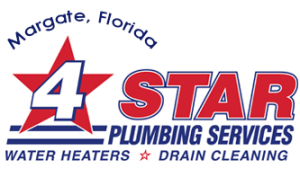 Whether it is an emergency situation like a clogged drain or toilet that needs urgent solution, or a big project like a complete plumbing remodel, 4Star Plumbing Services has the answer and the right personnel for that! We pride ourselves not only in the quality of professional technicians in our ward, but more importantly in the way we do business. 4Star Plumbing Services takes the time to let you know of your situation –what the problem is, what caused it, how it could have been prevented – and more importantly, what you can have done to fix it. 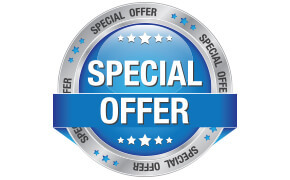 We also make a point of informing you of all the options that we can offer you so you are completely in control of what is happening to your system and what you’re paying for – more for your peace of mind than ours. These, and our continued dedication to high quality services and customer satisfaction, are what earned us not only our string of loyal patrons but most especially the A+ rating from the Better Business Bureau. Interested? Our services are available for both residential and commercial clients! Send us a service request today!